In our conclusion to Workers’ Compensation Glossary of Terms, below we outline and define some additional phrases that are commonly associated with workers’ compensation claims. If you have questions about any of the terms discussed in this three-part blog or would like any assistance with your claim, contact the Bisset Law Firm. Permanent partial disability – This refers to the irreversible impairment sustained to a particular part of the body or the specific permanent loss of a bodily function (or system). An injured worker’s doctor will assess permanent partial disability as a percentage of how much impairment has resulted from the injury. Loss of a finger or limb and blindness in one eye are examples of permanent partial disabilities. Permanent total disability – This refers to any injury that will prevent a worker from being able to earn a living in his previous job or in any other occupation. When a worker has sustained a permanent total disability, the associated benefits will typically be based on 2/3 of that worker’s weekly wages at the time he sustained his injury. Because these impairments are irreversible, these benefits will usually be paid through the course of a worker’s lifetime. Temporary partial disability – This refers to a state in which an injured workers’ condition impairs certain abilities and/or bodily functions that prevent that individual from working at his full capacity. Benefits for these types of injuries are usually based on 2/3 of the difference between the injured worker’s weekly earnings immediately prior to the injury and his reduced current earnings (due to his limited capacity to work). Temporary total disability – This refers to a state in which an injured workers’ condition has caused him to miss work for at least three days (or three shifts). 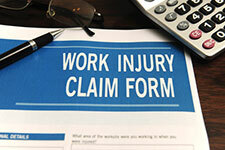 When this occurs, injured workers will receive 2/3 of their weekly wages at the time of the injury. If the injury prevents a worker from being able to return to work for more than two weeks, then the injured worker can receive compensation for the initial three days of work missed. After a workplace injury, you can trust the skilled Denver workers’ compensation attorneys at the Bisset Law Firm to aggressively advocate your rights and help you obtain the benefits you need and deserve. Our experienced legal professionals are dedicated to providing each of our clients with the highest quality legal representation, keeping each of our clients informed and in the loop at every stage of their cases and, ultimately, helping them obtain the best possible results for their cases. While we offer knowledgeable, superior counsel to anyone seriously injured on the job, some of our additional key strengths include our fierce negotiating skills, our extensive trial experience and our readiness to take decisive action when the denial or delay of a workers’ compensation claim is finally overruled. Contact the Denver workers’ compensation lawyers at the Bisset Law Firm by calling (303) 894-8900 to learn more about your rights and receive a professional evaluation of your case.